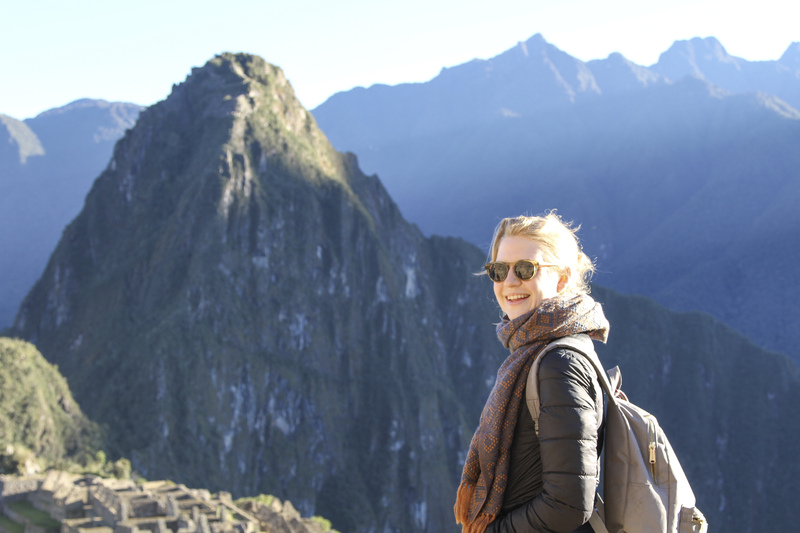 Hall W. Rockefeller joined Marika Shiga, Nest Director of Engagement and Partnerships, and Meghan Black, Nest Manager of Philanthropy, on a donor trip through Peru’s Sacred Valley to visit Nest Artisan Partners and gain a firsthand understanding of Peru’s alpaca fiber crafts. 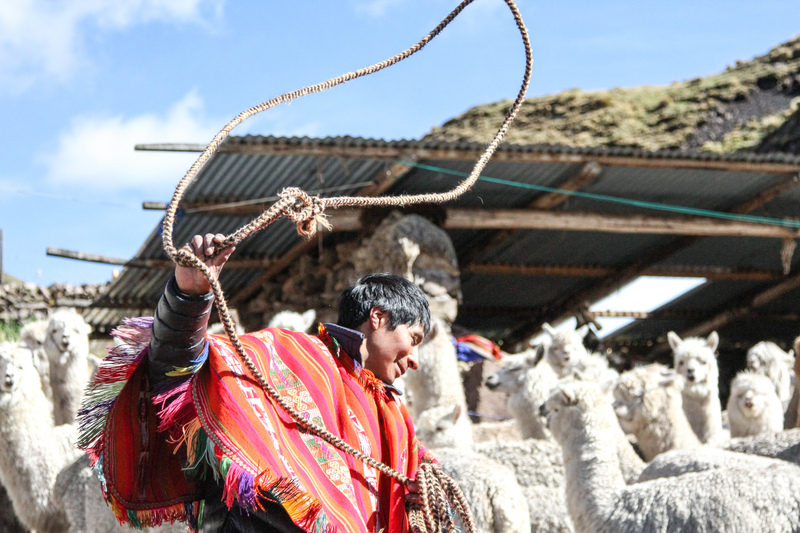 The group followed the fiber production process from the shearing of the alpaca, spinning and natural dyeing of the fibers, to the weaving and knitting, through to the design and merchandising phases. Hall shares her reflections on the experience here. The mountains surrounding Cusco are etched with many timelines— first among them is the story of the region’s geological time, the movements of tectonic plates and continents that made the Andes, the mountain range that extends from Venezuela to Chile. Millions of years pass, and we observe the traditional push and pull of powers, as small communities of people living off the land were dominated and consolidated by the Inca around the year 1200. For three hundred years the Empire thrived, spreading its culture and common language until, in 1531, the excessively cruel destruction and oppression of the native peoples began with the arrival of the Spanish. This painful chapter, lasting another three hundred years, is a part of Peru’s history and cannot be separated from its current events, nor from the identities of the Peruvian people, despite the country’s efforts to assert itself since declaring independence in 1821. If you are not paying attention when visiting Peru it is easy to miss how these timelines interact, though they by no means stay relegated to the past. It is easy to climb to Machu Picchu and see ruins, or to speak Spanish and think you are speaking the native tongue. But to be taught, as we were, how to dye wool with the women of the weaving cooperatives who collaborate with Threads of Peru, or to receive a flower necklace generously bestowed by one of the weavers for Awamaki, two organizations with whom Nest collaborates, was to find ourselves knee deep in a bewildering swirl of time, which wove the country’s history in threads. On our second day of travel, the Nest group climbed to 14,000 feet above sea level to meet Marcelino, who keeps a herd of one hundred alpaca. He lives at such dizzying (and pant-inducing) heights not only because alpaca thrive in the cold, thin air, but because his ancestors were forced to settle there after they were driven into the mountains to escape the Spanish conquistadors. Today he sells his wool to weavers in nearby Ollantaytambo, who spin it into threads and use it to weave in the traditions of the people who have lived in the Sacred Valley for thousands of years. 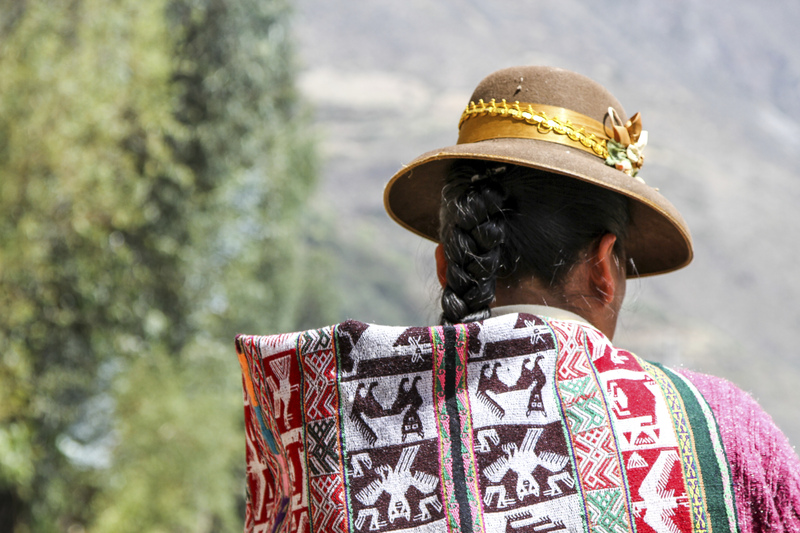 These women speak little Spanish except for the words they need to welcome their visitors, but rather converse in Quechua, the language of the Inca Empire. So when I picked up an intricately woven manta woven by Marta, a weaver for Awamaki, I held in my hands what was ostensibly interlaced naturally dyed threads in vibrant colors fashioned into elaborate floral patterns, but in them I felt even more: I held the story of a country. In these threads I saw a man whose family was driven into the hills five hundred years ago, who today sells wool to women who weave with techniques passed down to them over three thousand years, all the while speaking a language their ancestors have spoken for a millennium. 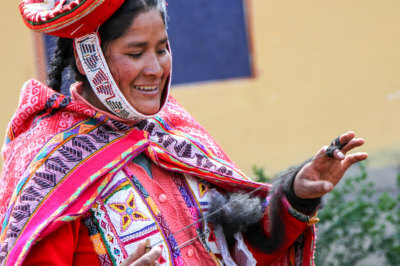 Add to this web of history the present, as incubators like Awamaki and Threads of Peru seek to improve the marketability of the goods being produced by these women, and these textiles are brought into the 21st century as desirable global products. For these weavers what is a tradition is also an essential piece of their day-to-day, and thanks to the inspiring work of the organizations we visited, these women are able to recognize in this set of refined skills a way of bringing themselves and their families into the future. Hall W. Rockefeller is the founder of less than half , a website that covers the shows and exhibitions of female artists in New York City. She is a graduate of the Courtauld Institute of Art, where she wrote her Master’s dissertation on the modernist weaver Anni Albers.